We are looking for candidates who have a completed PhD in History, or another field relevant to the project, such as Political Ecology, Human-Animal Studies, Science and Technology Studies or Geography. The blue-tinted “Big Lex”, an adaptation of the oil painting of the famous racehorse “Lexington” by the equine artist Edward Troye, to represent Bluegrass Country. Living with Horses represents a day-long stream of panels, a mini conference within a conference, co-organized by Gala Argent and Angela Hofstetter. Also in its 4th iteration, the Living with Horses explored the roles horses play in human lives and the impact of those roles on both humans and horses. Equine History members presented in several panels and enjoyed hearing new and exciting research in the field to follow! As an equine ethologist, writer and horse trainer, Lucy has studied wild and feral horses in Wales, Spain and Uruguay for decades. Her 2017 book, Horses in Company, challenges commonly held conceptions of equine dominance hierarchies—not observed in horses living outside of stables and human handling—which form the basis of many schools of horsemanship. An exciting interdisciplinary animal studies conference took place March 21-23 in Lubbock, Texas on the campus of Texas Tech University, highlighting inter-species communication from classical to contemporary periods, through literature, philosophy, and real-life engagement with non-human animals. The international conference brought together scholars from literature, history, anthropology, philosophy, religious studies, the visual arts, the psychological sciences, and companion animal science conducting research in diverse historical, cultural, social, and philosophical contexts. The multi-day event was organized by the “Animal” in the Humanities Research Group at TTU, comprised of Dr. John Beusterien (Spanish), Dr. Belinda Kleinhans (German), Dr. Katy Schroeder (Animal & Food Sciences), Dr. Lucas Wood (French), Dr. Pamela Zinn (Classics), in collaboration with Joe Arredondo (Landmark Arts) and Dr. Kevin Chua (Art History), on the occasion of the 51st Comparative Literature Symposium. Alongside engaging with insects, birds, canines, and other varied animal experiences, of particular interest for Equine History were the keynote lectures and a unique live practice session with therapy horses for conference attendees modeling Interspecies Nonverbal Communication. Professor of English at the University of New England. She is the author of Animal Stories: Narrating across Species Lines (2011), a volume in the University of Minnesota Press’s Posthumanities series, as well as Dog (2004), a volume in Reaktion Books’ groundbreaking Animal series. With colleagues in the UK, she co-edited The Routledge Handbook of Human-Animal Studies (2014) and Literary Animals Look (2013), a special issue of Antennae: The Journal of Nature in Visual Culture. McHugh is Series Co-editor of Palgrave Studies in Animals and Literature, the first academic book series devoted to literary animal studies. As well as serving as the Humanities Managing Editor for the scholarly journal Society and Animals, she is Editorial Board Member of Animalibus: Of Animals and Cultures (academic book series); Antennae: The Journal of Nature in Visual Culture; Animal Studies Journal; Environment and History; H-Animal Discussion Network; and Humanimalia: A Journal of HumanAnimal Interface Studies. 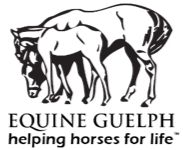 Dr. Foster teaches Behavioral Studies of Zoo Animals at the University of Washington and co-instructs a six-week online course titled “Resolving FearBased Behavior in Horses” through the IAABC. In her consulting practice, Dr. Foster works with horses and dogs that present with serious behavior issues. Dr. Foster currently chairs the Animal Behavior Society’s Applied Animal Behavior Committee and holds professional certifications as a Certified Applied Animal Behaviorist and as a Certified Horse Behavior Consultant. Katy Schroeder is Assistant Professor of Companion Animal Science, Texas Tech University, and Director of the Equine-Assisted Counseling and Wellness Research Lab and Community Clinic at the Texas Tech Therapeutic Riding and Therapy Center. She a registered Therapeutic Riding Instructor and Equine Specialist in Mental Health and Learning with the Professional Association of Therapeutic Horsemanship, International (PATH, Intl.). Tangi Irwin is Program Director, Texas Tech Therapeutic Riding and Therapy Center, a PATH, Intl. Advanced Therapeutic Riding Instructor, and Special Olympics Equestrian Coach.